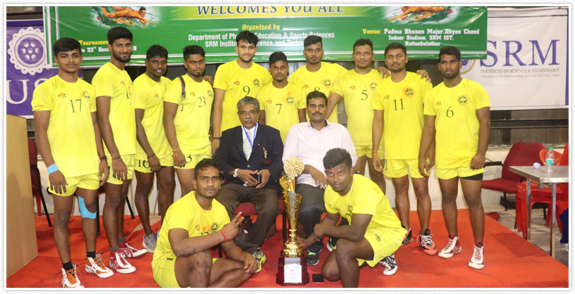 SRM Institute of Science and Technology (formerly known as SRM University) Kabaddi Mens Team Win Dr.Kalam Trophy for the Second Time. A total of 72 teams participated in the Championship. The first four teams are qualified to participate in the All India inter University Volleyball men championship which is to held at Dr. H. S. Gour University, Sagar, M.P from February 22nd to February, 27th 2012.